Get it Free! 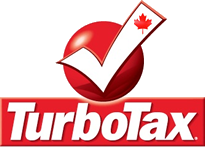 Get the TurboTax Free Online Edition 2012 at Intuit.ca. Regardless of your age or income, if you only have T4 slips to file this year, then don’t pay for your taxes this year as TurboTax Canada gives it to you for free. Not available to those that are self-employed, have investment income, or RRSP’s. Available exclusively at the Intuit.ca website. Follow the above link for more details. TurboTax Free is built on the same quality foundations as other TurboTax versions but it’s limited to assisting in preparing the simplest tax return. To start with, even if this is the first time you are preparing and filing taxes on your own, you shouldn’t have any problems. TurboTax helps you prepare all the necessary documents by asking questions about different aspects of your personal and professional life. This will help identify all the deductions and credits you qualify for. Those are later listed in Deduction Toolbox that not only sorts them alphabetically but also provides description and indicates line and document they are transferred to. Audit Risk Alert will point out any red flags that may initiate some type of audit or inquiry by the CRA. Once you review that information you can either mail your returns or use NETFILE. Taxpayers who receive T-slip income of no more than $60,000, claim no dependents, don’t have investments or RRSP contributions should use this version. You can work at your desired pace and bookmark sections you want to revisit. As you go from providing personal tax information, income, RRSPs, deductions, provincial taxes, to review, your refund (or liability) is displayed at all times. It also changes as you provide more information. This allows you to realize and learn how different aspects of your life affect your taxes. Should you have any question on any sections, there are either handy links with explanations or access to Live Community. Live Community contains wealth of information on all stages of the tax return. You can participate by asking questions specific to your return or share your knowledge with others. There is also TurboTax support with step-by-step tips on all that’s necessary to help you successfully file your tax returns. Before you file, TurboTax runs a review of all the information to guarantee correctness of all calculations and maximum refund.